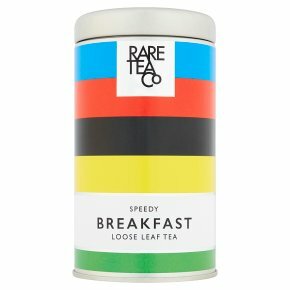 Suitable for vegetarians.Speedy Breakfast is the tea you need when you want it very good, very strong and very fast. Deep and lovely but not delicate. Rare loose leaf black tea of the highest quality that's been cut finer to infuse faster. Use a heaped teaspoon and boiling water - within 45 seconds you'll have a deeply delicious mug of tea. Perfect with milk.